R6 Home Inventory is a fast, easy and affordable home inventory application. It's simple interface allows for fast entry and ease-of-use. For the price of a car wash, you can record all of your assests. Avex DVD to Zune Video Suite is a One-click, All-in-One solution to create Zune movies from DVDs, TV shows and home videos. The software combines DVD to Zune Converter and Zune Video Converter in one package at great discount. Jingle is a sms/email/desktop reminder program with simple user interface but strong capacities. No matter you are at home, in the office, or on the road, whenever you want, Jingle will remind you on time so you won't miss any important event. 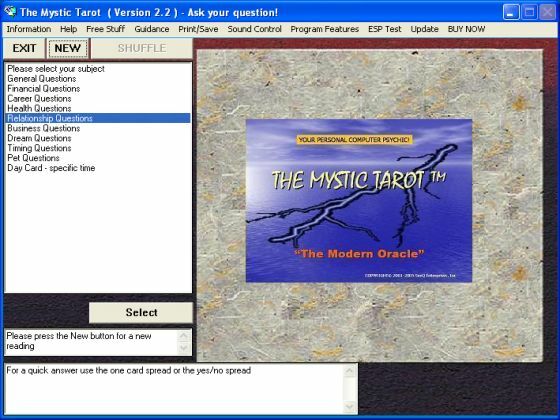 The Mystic Tarot is the only tarot software (tarot program) with proven accuracy, and it is truly your eye to the mystic world of the tarot. It will shuffle and deal a virtual tarot deck for you. Test or develop your psychic abilities by using the Mystic Psychic Trainer. MPT will help you fine tune your clairvoyance, telekinesis, and precognition abilities using colors, symbols and dice. Tracks Eraser is designed to protect you by cleaning up all the unwanted history data on your computer. With simply one click, Tracks Eraser allows you to erase the cache, cookies, history, typed URLs, auto-complete memory, index. 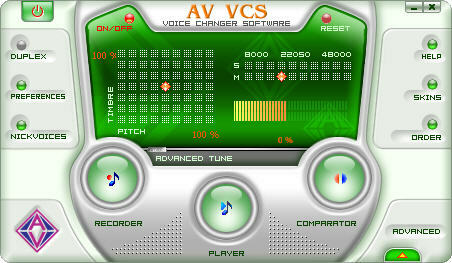 AV Voice Changer Software stands apart from other online or computer voice changers for its unlimited ability to change voice and sound to produce expected voice/sound outputs. The IDautomation Barcode Image Generator is a bar-code image generation application that is used to create images and paste barcodes into other applications. Workspace Macro Pro is a reliable and user-friendly Windows automation software and macro recorder. A simple 3-step process: New -> Save -> Run will get you started with this macro program. No programming required. HomeGenie provides you with a complete home inventory. This program provides a plan of your home and a digital and photo inventory of all your items for insurance purposes.